Samsung seems to be dialing back on the functionality that its Game Tuner app provides. Since its original release three years ago, Game Tuner has received a number of updates that have added new game tuning controls. While some recent updates have removed minor functionality, the latest Game Tuner release removes a few major options. 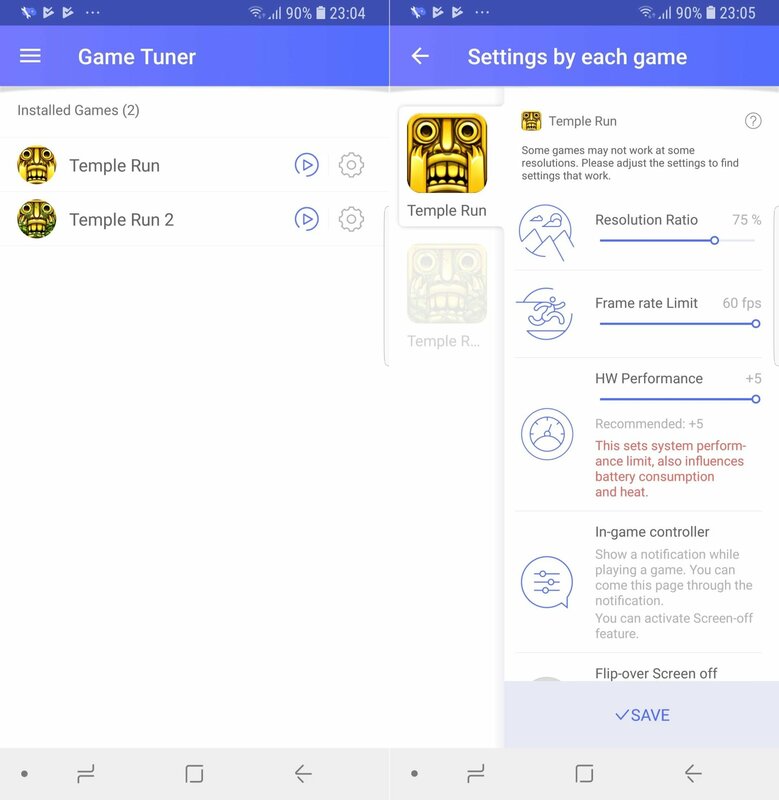 According to Samsung, this is to simplify the features offered by Game Tuner and to bring the app closer to its original design. The biggest change is the removal of preset modes that apply universally to all games. Now, Samsung wants you to individually adjust various parameters for every game. That doesn’t exactly simplify things, does it? It does make for a cleaner interface, though, as you can see in the image below. Some of the game parameters you could modify have been removed as well: You can no longer adjust texture quality and brightness levels for a game. Finally, the ability to adjust a non-game app’s resolution has been dropped as well. The latest version of Game Tuner (version 3.4.04) is available on the Play Store. If you would prefer to remain on the older, more feature-packed version, you should avoid installing the update (be sure to disable auto update for Game Tuner from its page on the Play Store on your phone or tablet). You can also download the APK file for the previous version (3.3.11) from our APK section and sideload it on your phone manually. Do let us know if Game Tuner is something you use frequently and what you think of the latest update. What the function of ‘Flip-over screen off’ ???? Anybody can explain to me? Why don’t they inbuild Game Tuner into Game Launcher? Just like they did with Game Tools into Game Launcher. It would be much more simplified to have 1 app for games with all the settings you need instead of multiple apps. For short: never update on Samsung if it works already well. Also never set Play Store on automatic update anyway. I remember my S Advance on 2.3.6 was great. And after update to 4.1.2 the phone was horrible.